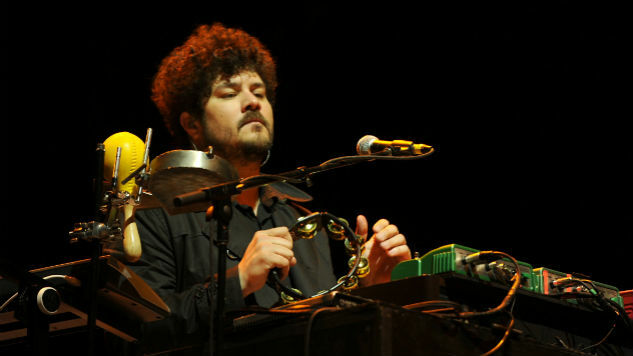 In a Facebook post shared via the musician’s account, the family of Richard Swift has revealed the cause of his death last week at the age of 41. In June, Swift was diagnosed with hepatitis and kidney and liver distress, and despite the best efforts of multiple hospitals, he was moved to hospice care per his wishes when his body did not respond to treatment. Swift died in the early hours of July 3. He is survived by his wife and three children. Swift performed with The Shins, The Black Keys and The Arcs, in addition to his work as a solo artist. Additionally, he produced albums for The Mynabirds, Foxygen, Damien Jurado and Guster. Read the family’s full statement (via Facebook) below, beneath Paste vault footage of Swift performing circa 2011.